“I am currently undertaking a training contract, to become a Trade Mark Attorney, with Appleyard Lees. 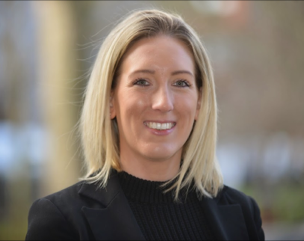 My route to becoming a trainee was slightly unconventional as I did my law degree on a part-time basis whilst working as a paralegal in a local family law firm. I commenced employment at Appleyard Lees in 2013 as an administrative assistant and soon after became a paralegal. I thereafter completed the Institute of Trade Mark Attorneys Trade Mark Administrators Course which enabled me to build a foundation in trade mark law and gain a sound understanding of official procedures. I started my training contract in April 2015 and I hope to qualify as an Attorney in 2017. My role as a trainee is to assist the Partners and Attorneys with various jobs and to alleviate the pressure on them. I enjoy the variety of work given to me and feel a sense of satisfaction knowing that I am helping my colleagues yet learning something new and gaining valuable experience, which will undoubtedly assist me in the future. Already in my short time as a trainee I have undertaken a number of different tasks, which have included preparing and filing trade mark applications in various countries, drafting witness statements, preparing detailed evidence, liaising with new clients and taking instructions. Having worked at Appleyard Lees for just over two and a half years, I can say that every day brings a new challenge. I have the support I need when faced with any problem and find that my more-experienced colleagues always take the time to help me (no matter how busy they may be!). Appleyard Lees have supported my development and allowed me to work my way up from an administration role to a trainee role in a very short space of time.